BERLIN (AP) — Werder Bremen continued its birthday celebrations with a 4-0 rout of Augsburg in the Bundesliga on Sunday. 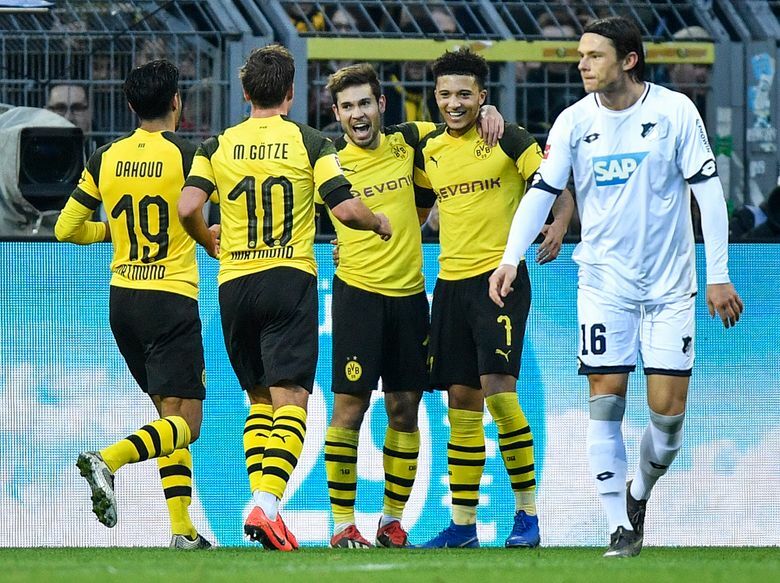 Bremen, which marked its 120th anniversary as a club on Monday, followed up its dramatic penalty shootout win over Borussia Dortmund in the German Cup on Tuesday with its biggest league win of the season. Kevin Moehwald got Bremen’s fourth in the 83rd. The win helped Bremen consolidate 10th spot and put it within striking distance of the teams chasing European qualification. Eintracht Frankfurt and Bayer Leverkusen, fifth and sixth respectively, are just three points clear. Stuttgart coach Markus Weinzierl’s job was on the line after his side’s 3-0 capitulation at promoted Fortuna Duesseldorf, a relegation rival that now appears safe, 10 points clear of Stuttgart. Stuttgart, which has five defeats in its last six games, saw Argentine forward Nicolas Gonzalez sent off late through VAR for an off-the-ball incident with Duesseldorf’s Kaan Ayhan, who was booked.